We have in collaboration with Premier PTC of U.S.A., designed, fabricated & supplied Gas Slurry Reactor(s) upto 5 MT capacity for critical applications like Hydrogenation and are working excellently. Our hydrogenator has been optimized to improve gas-liquid mass transfer, to obtain more uniform slurry distribution and better heat transfer. Hydrogenator offered by us utilizes a unique self gas inducing type multiple impeller system. The gas in the head space is induced inside the liquid by creating vortex due to top axial flow impellers (high solidity ratio hydrofoil impeller) and narrow baffles in that region. The feed gas being sparged through a sparger at bottom and the head space gas brought down by vortexing are, dispersed in fine bubble form by a radial hydrofoil impeller (hollow parabolic blade) installed at bottom. Uniform solid particles distribution achieved by providing suitable baffle width in the region of radial flow hydrofoil impeller which creates compartmental axial flow also. Hence our design is especially useful in real world industrial application involving slurries. Relative power demand during gassing phase is around 80 to 90% (0.8 to 0.9) of ungassed power, which implies that power of almost similar magnitude as in liquid-solid mixing is being utilized for dispersion (breaking) of bubbles. The system hence becomes stable as cavities (voids) are kept at a minimum. Batch time, selectivity, and product quality are improved accordingly. Due to the unique multiple impeller system offered by us, system will achieve (i) high pumping (ii) high gas dispersion & (iii) uniform solid suspension etc., simultaneously, using power efficiently & improving heat transfer coefficients also. The distance between the two impellers is optimized to achieve best performance for a particular application. Multiple impeller system offered by us will have better control on mass & heat transfer, compared to single impeller system offered by others. 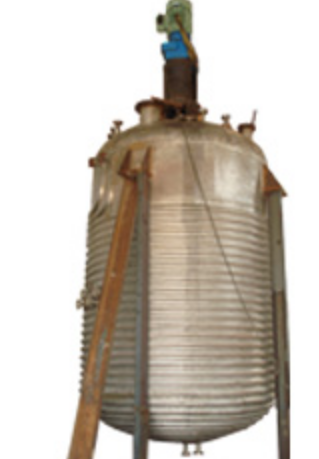 Our hydrogenator system has been proven in challenging hydrogenations, where other systems were unsuccessful.